Contemporary, yet highly functional, the 60" Alegra Double Bath Vanity takes a bathroom's style and completely spruces it up. 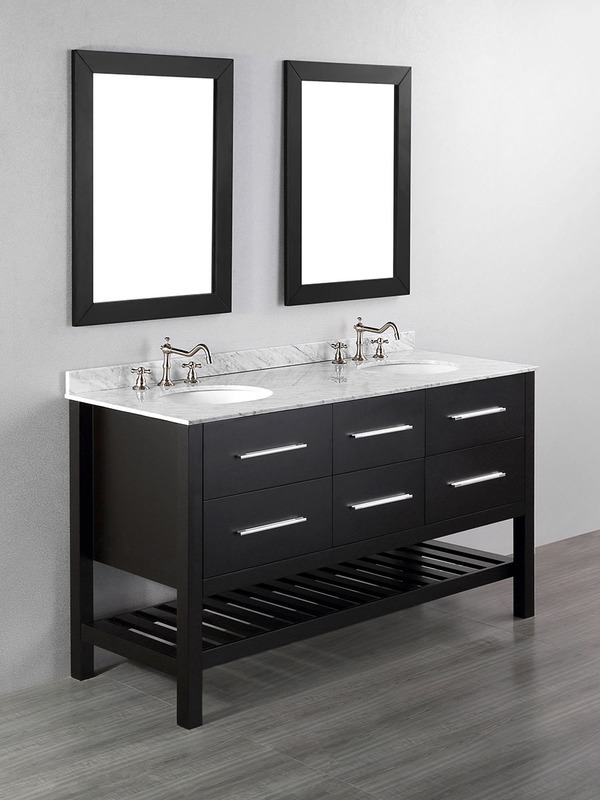 This solid birch vanity boasts a Black finished cabinet with a White Carrera Marble top. 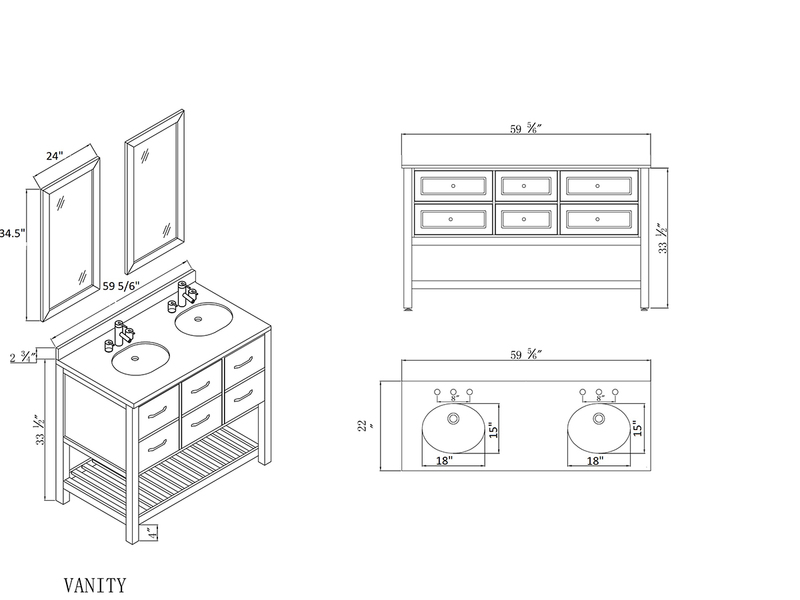 Four spacious drawers with soft-closing glides offer concealed storage space for your bathroom necessities, while the open towel rack across the entire vanity gives you a space to display your bathroom accents or clean towels. 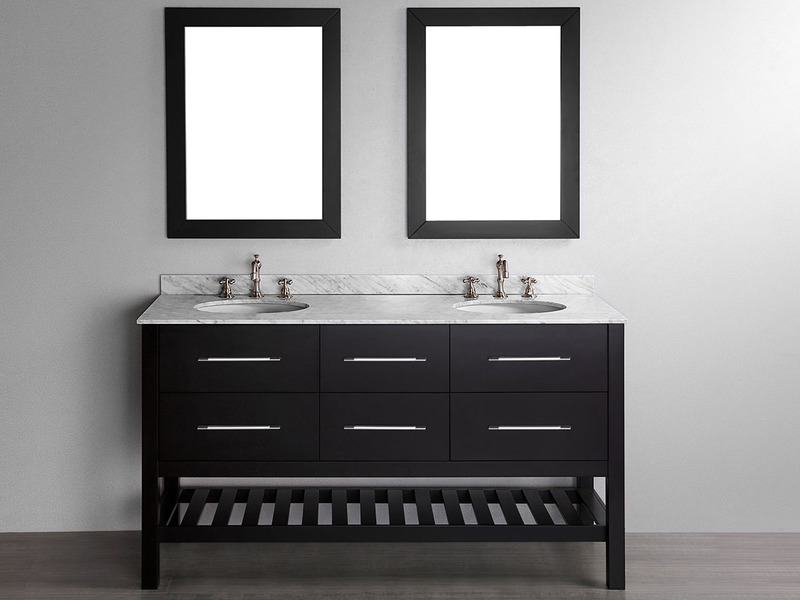 Add two matching mirrors to the Alegra for a look that will awe all of those who enter your bathroom!